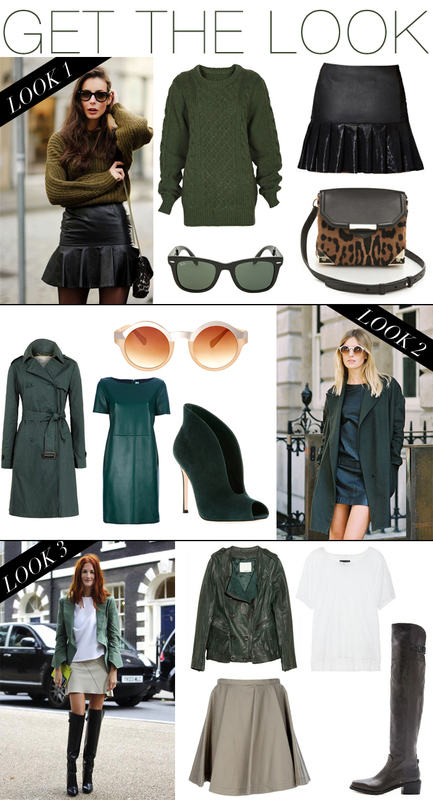 As you may have already guessed, I’m kind of obsessed with green for fall. Here are some of my latest favorite street style looks and how to get them. What’s your favorite color this fall? Love the monochromatic second look, so chic! Look #1 is my fave. I’m loving the dark green! Love look #1! I am dying over that leopard Alexander Wang bag – Must have it! I’m loving oxblood right now, but this deep green color is lovely.